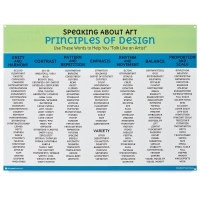 Crystal Productions Speaking of Art Posters help students develop their art vocabulary while reinforcing the elements of art and principles of design. 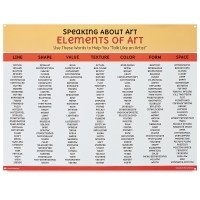 Concepts such as luminosity, figure/ground, organic/geometric, harmony, variety, and scale are correlated to the appropriate element or principle. 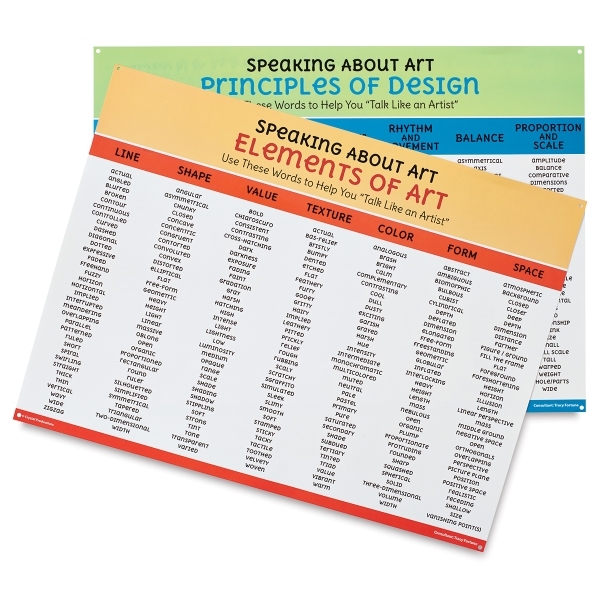 The set includes two, 24" × 18" posters plus a guide.